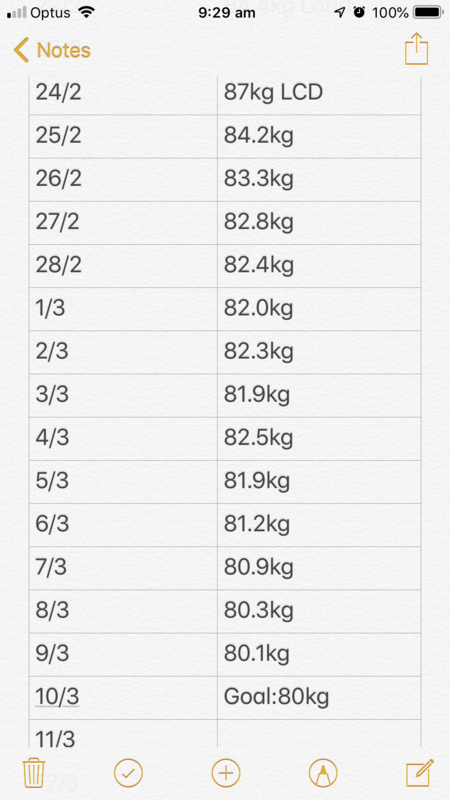 Everyone has a different journey on our HCG PROTOCOL diet however if you want to get an idea of what is possible, the attached image is from one of our female patient (using HCG Injections) who tracked 2 weeks of her weight loss in late Feb/early March this year; going from 87kg down to 80.1kg in just 14 days. Fat loss in not necessarily linear – meaning not always the same amount every day and weight can go up and down a bit along the way (as the attached demonstrates) which can be due to a little extra water retention or just as a result of your body going through the fat loss process – and for females can slow or stop approaching your menstrual cycle, which was the case in this instance (where we recommend you stop for at least 2-3 days and recommence after). 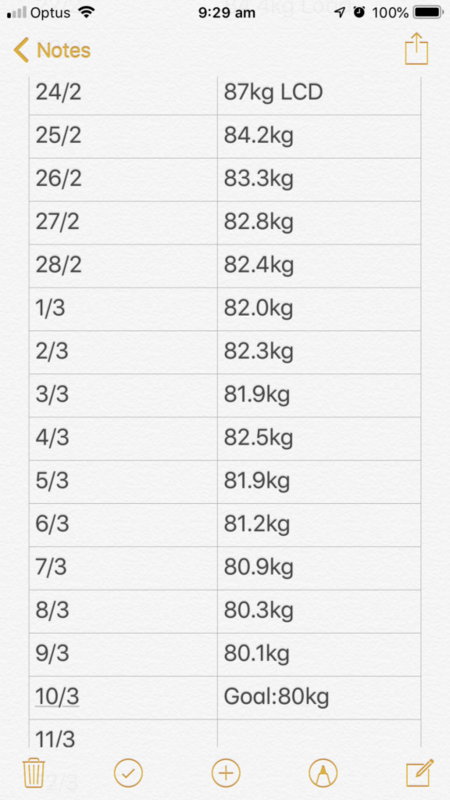 However when you look at the overall picture – a loss of 7 kg in 2 weeks – (and still further fat loss expected in her final week of her 3 week program) demonstrates that the HCG Protocol diet one of the most efficient rapid fat loss methods available.